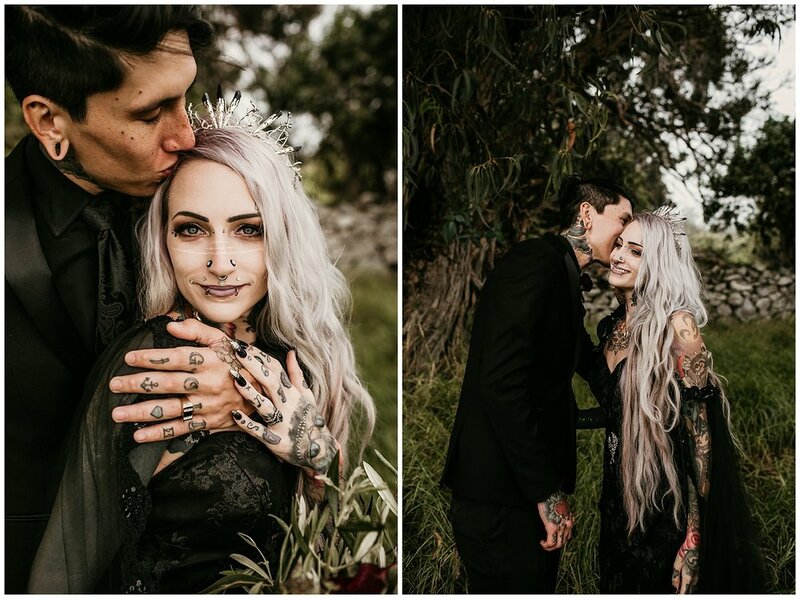 This Gothic inspired, Friday the 13th wedding is sure to get you into the Halloween spirit. 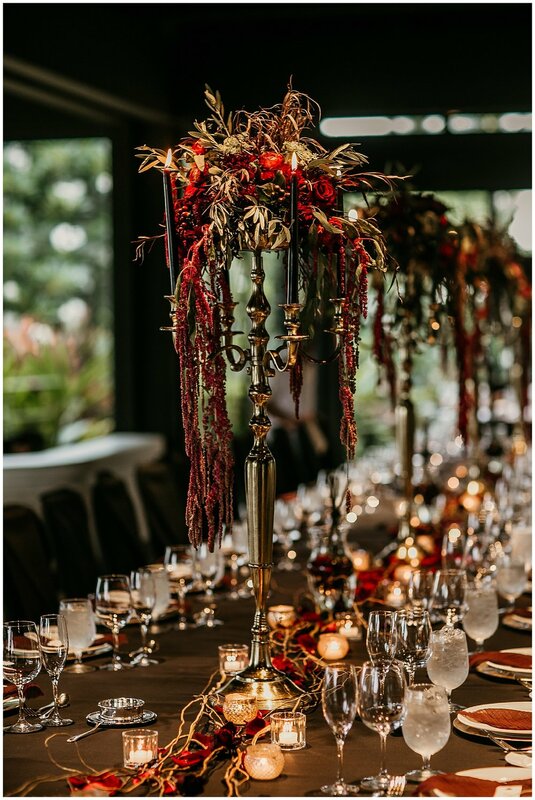 With it's stunning, rich colors and textures, this event was infused with intention and a lush aesthetic in every detail. We are always excited to work with couples whose aim is to do something completely different for their big day and this wedding was certainly no exception. Our Bride had a clear vision and a great design sense. We were able to create a Wedding with edgy elements of style that was also elegant and romantic. 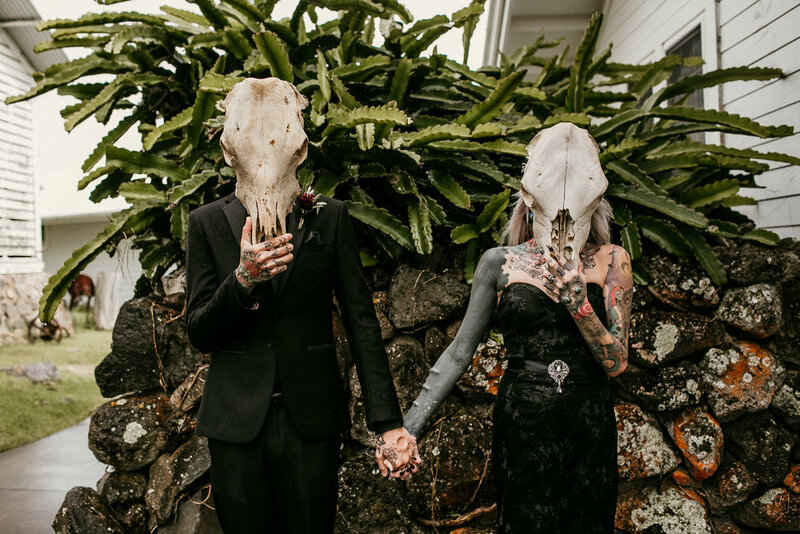 Every detail sourced by the Bride, from the gorgeous Smokey Quartz crown from Howling Moon UK to the perfect cake topper (a nod to the Couple’s well loved cats) from Upmood Shop, had intent. The place cards were tags that were hand calligraphed in a deep blood red, by Fine Lines Calligraphy and attached to skeleton keys. Pineapple Bakery crafted a masterpiece of a cake that was black (of course) and featured a large red geode. 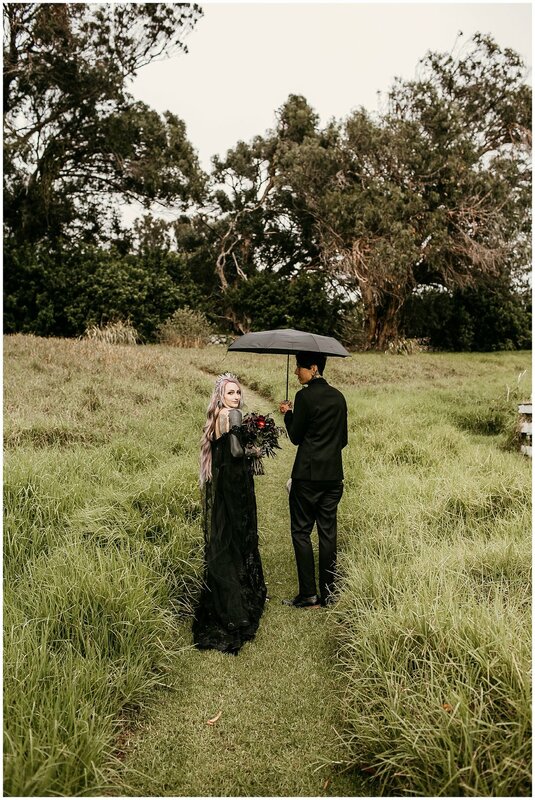 Our Bride was able to curate her stunning look with a perfectly tailored black gown and a custom designed black lace cape. Her divine bouquet by White Pineapple Designs was the finishing touch! 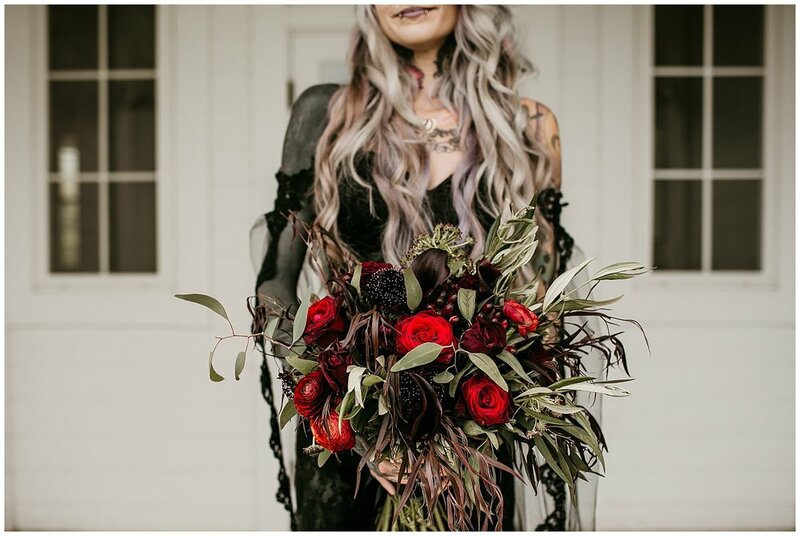 At first glance, this collection of images by Ruthanne Photography appears eerie, moody and every bit editorial photo-shoot worthy. The reality was far different. 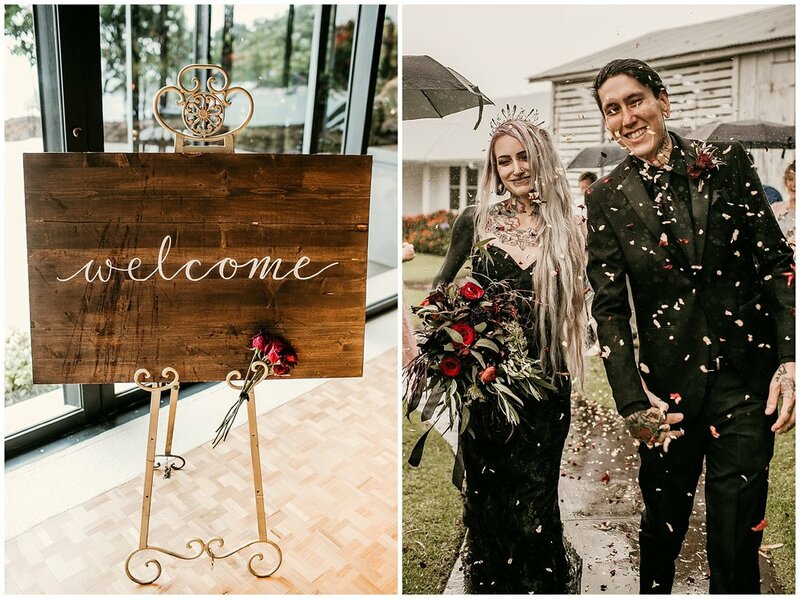 Our Couple came to us prepared to create a real life Wedding Day as unique and thoughtful as they are. A day that was full of meaning and reflective of their deep and shining love.